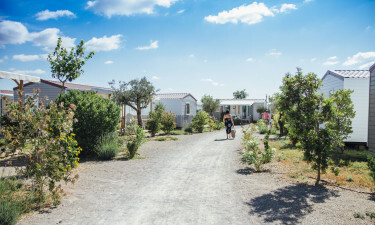 Camping Le Mas de Lavandes is nestled within the Languedoc region of France. Not only can guests experience a stunning countryside, but this venue offers nothing less than luxury camping at its finest. LUX-Camp representatives are always keen to answer an questions and provide further information. Why Should I Take My Family to Camping Le Mas de Lavandes? A wide choice of 150 pitches. A kaleidoscope of on-site amenities. Spacious and clean mobile homes. A wide choice of nearby recreational activities. Thanks to its proximity to the shores of the Mediterranean Sea, guests can walk less than two kilometres and enjoy some truly unforgettable bathing experiences. There is also a large aquatic park of no less than 2,300 square metres found within this luxury camping site. 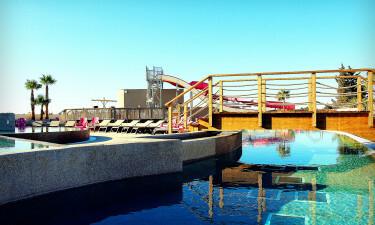 Water slides, foot bridges and lounge chairs are a few of the features to be mentioned here. Please note: The pool area is open from the 1st of April to the 30th of September. A camping holiday could not be made easier thanks to on-site facilities such as a laundrette, baby changing rooms, indoor play facilities, restaurants and supermarkets. Dining here could not be made easier for guests, with the combination bar-restaurant found at Le Mas de Lavandes. It is found quite close to the aquatic park, meaning families will not have to walk a great distance from their pitches. Fresh Mediterranean food, outdoor patios and live evening entertainment are a few of the features to enjoy. The expert bartenders are pleased to offer up unique cocktails, a glass of cool wine or a pint of ale upon request. This luxury camping site also provides a grocery store as well as a bakery that is open throughout the height of the tourist season.